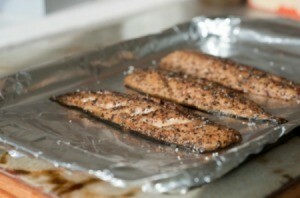 Lining a baking pan with aluminum foil can help with cleanup. This is a guide about lining pans with aluminum foil. I love to bake using marinades and various spices that are messy to clean up. In my old age (65), I have learned to line my baking pans with aluminum foil so I can just remove the food, dispose of the foil, and put the pan away - no scrubbing needed. I even line the disposable pans to get another use out of them. No more scrubbing for me! For fitting foil into a roasting pan without tearing the foil, turn pan upside down and fit the foil to the outside of the pan. turn it right side up and gently fit the formed foil to the inside of the pan. To make your clean up, from dinner or baking for fun, easier simply add a layer of tinfoil onto your glass or metal pan before putting it in the oven. Still use nonstick spray because it will still stick, but it allows a easier cleanup. When baking a cake instead of greasing and flouring the pan, line it with aluminum foil. After baking let the pan cool down and place the cake pan and all in the refrigerator to chill. When ready to frost the cake will lift out and you can easily peel the foil off the cake which will make it easier to icing. 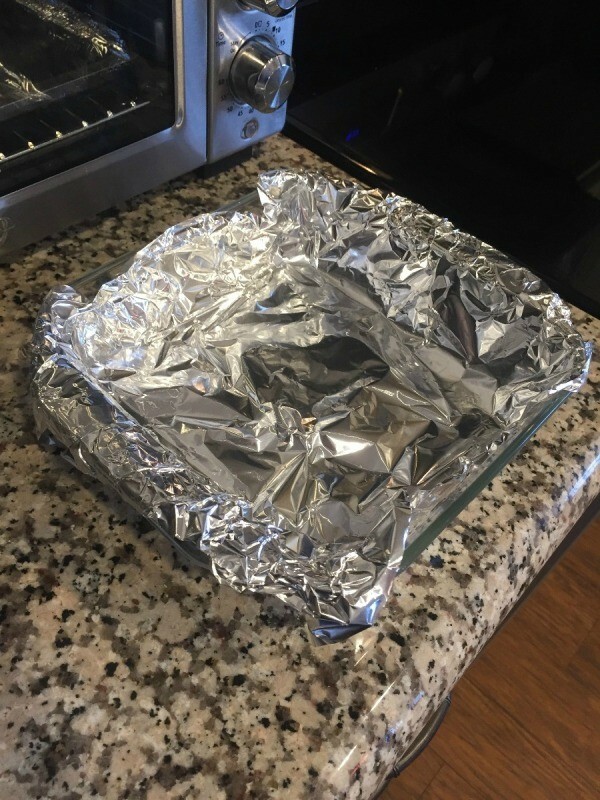 To easily line a baking pan with foil, turn the pan upside down and smoothe the foil on the bottom and up the sides of the pan being careful to form the corners as well. Whenever you bake brownies or other baked items, line the pan you are using with heavy duty aluminum foil. When completely cool, carefully lift out; then pull foil away from sides. This makes it easy to cut and to lift out the pieces. When needing to line a baking pan with foil, turn the pan upside down, take the foil and shape it around the bottom of the pan and up the sides. Then pull it off, turn the pan right side up and just set the foil right inside the pan! Sh-bang! Perfect fit! Duh. Now why didn't I think of that? Such a simple solution. Where was my brain this past weekend when I tried to line a large baking pan with foil? Thanks for turning my brain around a bit. I can't believe I tried stuffing that darn foil into the pan the other way!